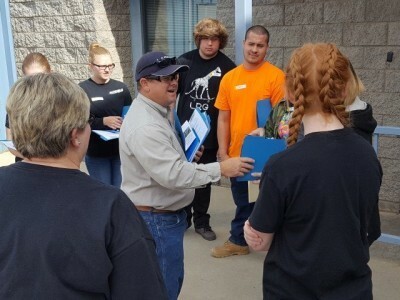 Laron participated in National Manufacturing Day to help students become aware of the manufacturing industry in our country and its many opportunities. 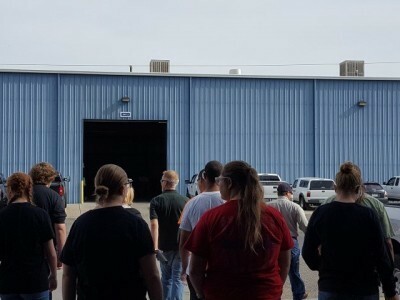 High school and community college students were invited to visit Laron and other manufacturing facilities in the Kingman area to experience what the manufacturing industry has to offer. 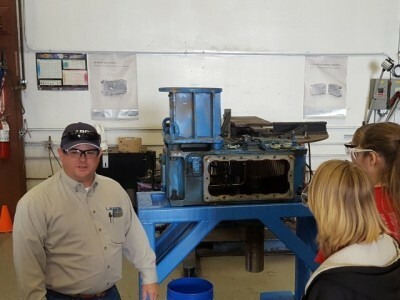 Laron’s Kingman General Manager personally led a tour of the Laron facility highlighting our large capabilities and what sets Laron apart from other manufacturers. The students were engaged in the tour and encouraged to ask questions. 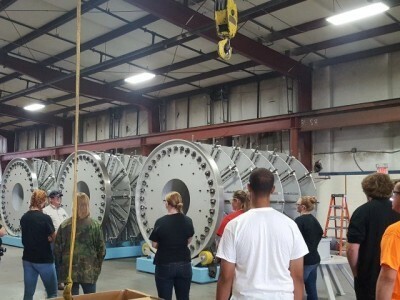 Highlights from the tour included our multi axis CNC machines and the construction of specialty manufacturing equipment. At the end of the tour, students were given a coaching opportunity to apply for a job at Laron and submit their resume and application. This allows students to experience the job application process in a non-threatening environment. Laron is deeply invested in our local communities and the Manufacturing Industry. Laron also has an apprentice program partnered with the community college and state to help train students in industrial trades. Laron is a deeply involved with the local Manufacturing Association (KAMMA) which supports the Manufacturing Industry and promotes community involvements with local businesses. We feel it is important to educate and train the next generation of our workforce in Manufacturing so that our nation can compete in the manufacturing world market. Now that large companies are outsourcing manufacturing work overseas more and more, it is our duty to keep manufacturing jobs and capabilities in the USA.